14.77mm x 7mm / 0.582in. x 0.276in. 3 Dimensional Bobby Helmet Charm. 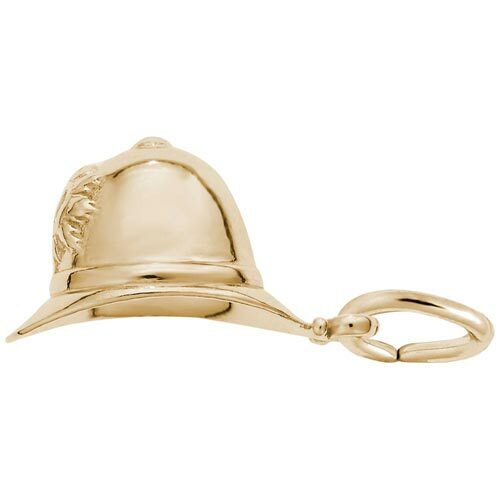 Show your love of British culture proudly on your charm bracelet with the Bobby Helmet Charm. This symbol of United Kingdom police is available in silver and gold.